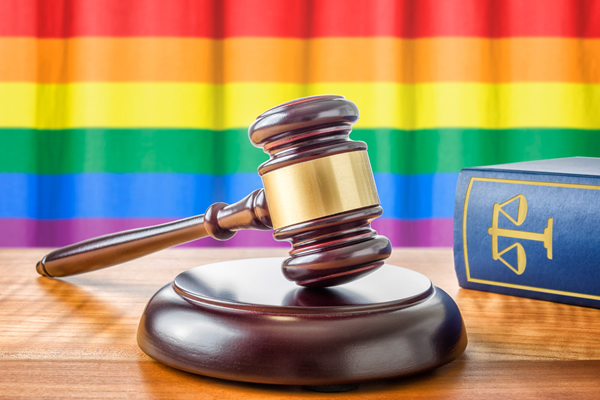 The Liberty Counsel this week asked the Virginia Supreme Court to consider its lawsuit against the Fairfax County School District’s LGBT-inclusive nondiscrimination policy. The Liberty Counsel asked the Virginia Supreme Court on Thursday to consider its lawsuit against the Fairfax County School District’s nondiscrimination policy that includes sexual orientation and gender identity. The anti-LGBT legal group filed the lawsuit last December on behalf of Jake Doe, a minor, his parents and Traditional Values Coalition President Andrea Lafferty. The lawsuit alleges that members of the Fairfax County School Board violated Virginia law when they added sexual orientation and gender identity to the district’s nondiscrimination policy in November 2014 and May 2015 respectively. Fairfax County Circuit Court Judge Brett Kassabian in February dismissed the lawsuit. The Liberty Counsel appealed the ruling to the Virginia Supreme Court. Robert Rigby, Jr., president of FCPS Pride, a group that represents LGBT employees of the Fairfax County School District, pointed out to the Washington Blade in an email that Virginia Attorney General Mark Herring in March 2015 said state law allows school boards to include sexual orientation and gender identity in their nondiscrimination policies. This opinion overturned then-Attorney General Jerry Kilgore’s 2002 position that said officials cannot add LGBT-specific language to such provisions, unless the General Assembly passed a law allowing them to do so. “Is [the] Liberty Counsel going to court to preserve their clients’ right to discriminate,” asked Rigby. Virginia’s statewide nondiscrimination law does not include sexual orientation or gender identity.